Is The Tea Party Over For Steve King? 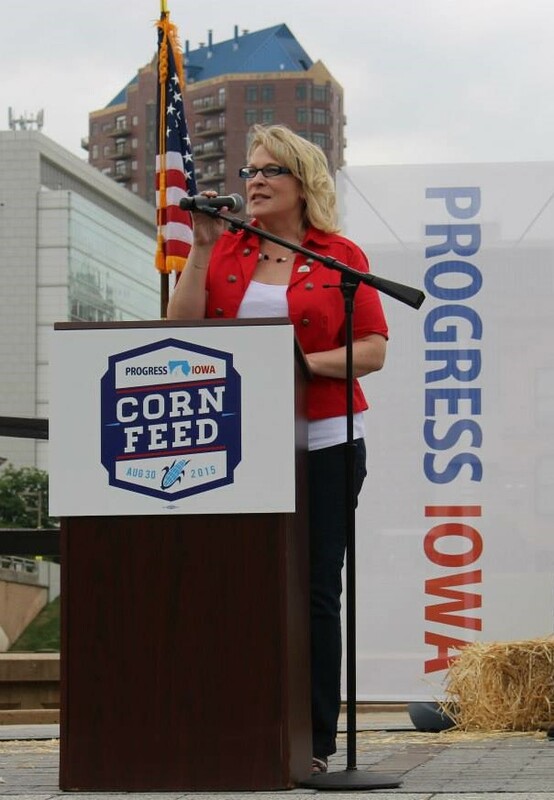 The more out-there commentary Steve King provides to the media, the more Kim Weaver attracts national attention, as the country increasingly views King as a leader among the worst tea party extremists in congress. Kim Weaver said on MSNBC that Democrats stand for “decency over division.” She formally announced Sunday on MSNBC’s AM Joy that she is taking a second shot at defeating Steve King in 2018. Will she have a better chance this time around? Watch the AM Joy segment below as she makes her case by the numbers. To support Weaver in ousting King, check out her campaign website and make a donation or volunteer. You can also follow her on Facebook and Twitter. Click here to see her interview with the Des Moines Register editorial board in 2016. This entry was posted in #trumpresistance, Kim Weaver, Steve King and tagged Iowa Rep. Steve King, Kim Weaver for congress. Bookmark the permalink.